Sherwood pines is the largest area of woodland in the East Midlands, and one of the UK’s finest forest activity parks. From cycling to tree climbing, there’s plenty for families and individuals to enjoy. 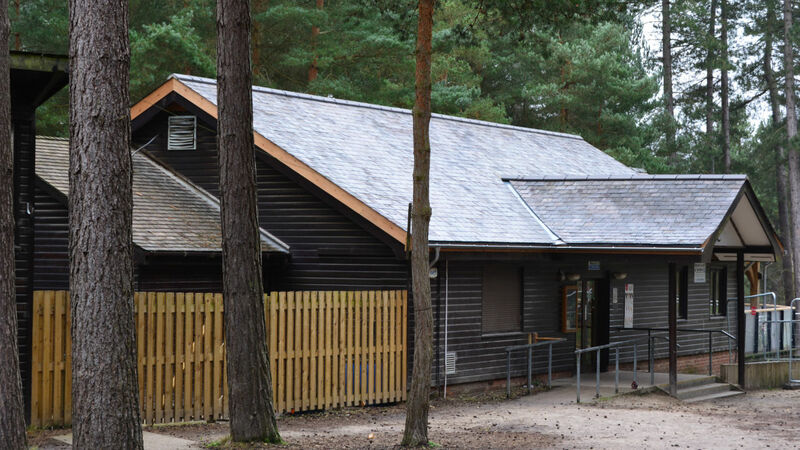 Within the park is the Sherwood Pines Café; a place for guests to relax with a coffee or a bite to eat. It’s here that Husht Acoustics was called in to help. 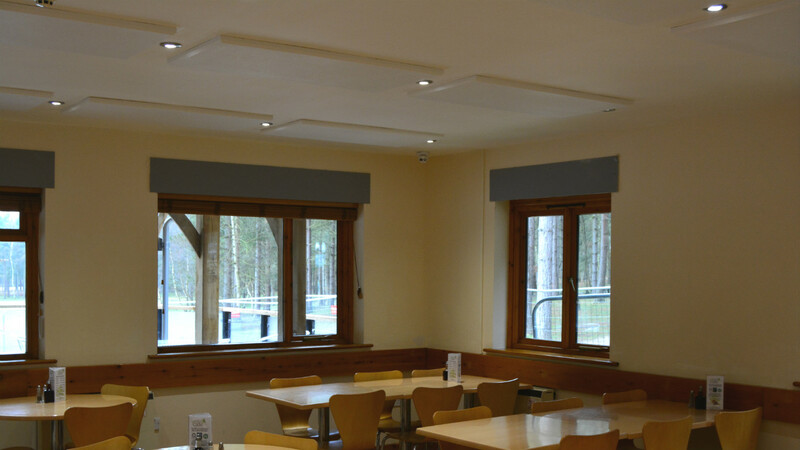 The busy Sherwood Pines café was very noisy when full of visitors; particularly at peak times. The large numbers of people, clinking of cutlery, and noise from the kitchen all contributed to excessive sound pressure levels, exacerbated by reverberation from the ceilings. For guests, this meant a less than relaxing atmosphere, and for staff it meant difficult communication and an uncomfortable working environment. 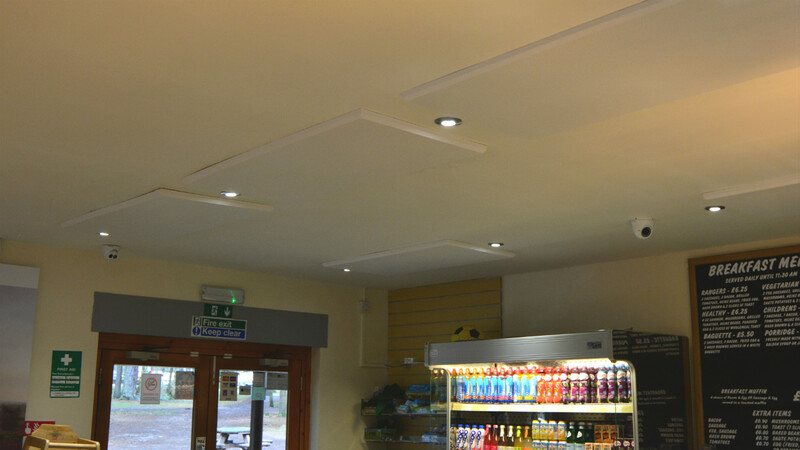 We installed SoundHush acoustic panels into the café ceiling, which are designed to absorb rather than reflect sound, cutting down on reverberation, and ultimately reducing the overall sound pressure levels in the space. 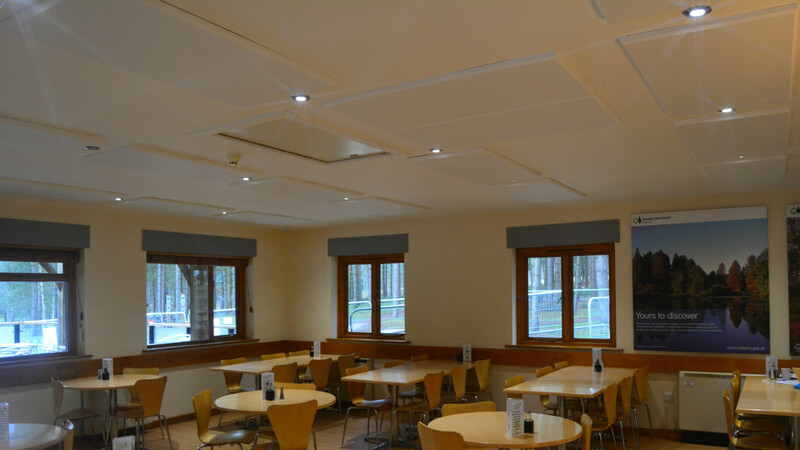 We chose these SoundHush products for their excellent technical specification, and their ability to blend in with the existing aesthetics of the room. Reverberation has now been significantly reduced, which has brought down overall sound pressure levels, making for a much more comfortable environment. We’ve had great feedback from employees at the café, who have been able to clearly feel a difference.